I also put in some cello, bass, and string tracks, all generated by BIAB or RB. For this song, I only did the vocals. David used Reaper to mix and finalize. Glorious Day tells of significant days in earth's history. The earth is dark and cold. Then with gentle hands, He makes them both. Oh, glorious day! Glorious day. 2:Oh, they had a plan: eternal God would become a man. 3:Oh, when he died, he gave us all eternal life. 4:Ah, no more tears, no more fears, no more pain. A savior born to break your chains. When the lamb was crucified. Darkness and thunder, we deserve to die! You wonder where and why. Look up, your redemption draweth nigh. Hey, guys 'n' gals! Please have a listen to my song, "Glorious Day." I created it in BIAB, did some tweaking in RealBand, then handed it over to @dcuny for some post-processing mixing and arranging in Reaper. I would love to hear your feedback on it. (See Song Summary and lyrics below. I love it! (especially the message). Good writing, production, choice of instruments, and vocals. The opening staccato string hits are nice! The cello works well (it almost always does). The accompanying strings are tasteful. The pace of the rise and fall is nicely done - terrific "big ending". Nice song. Nice production. Nice mix. Great entrance! Welcome to the Showcase! This is really well done!! The melody is haunting, and the echo of the vocal is perfect for the feel. Arrangement builds and falls nicely. Great choice of RTs and execution. No criticism from me on this one!! And we definitely love the repeating echo. Kind of a 60s 70s feel to it all. Thank you to everyone who took a moment and offered feedback. I really appreciate it! Thanks, Sonny! I have an uncle Sonny. Is that you? David should be feeling good about these comments. haha! Thanks, Greg! Thank you so much! BTW, my favorite instruments are cello and guitar. I'd probably just use those if I thought I could get away with it. haha! Again, I appreciate everybody's comments. You're very kind! This is my first-ever produced song, and Mr. David Cuny played a huge part in getting it to where it is. The reverb at first seemed heavy until the chorus. I'd initially had a much more subtle effect on the echo/reverb in the initial mixes, but c.k. asked that it be larger, and I'm a sucker for the sort of thing, so I didn't say no. As others have said above me, this is a sensational listen. The vocals are fantastic. The melodic timing of the two bars of "Oh glorius day, glorius day" is interesting. It's what grabbed me. To me it seemed that the melody was essentially a bar of 5/4 followed by a bar of 3/4 (total of 8 beats over two bars). I couldn't tune out of this melody sufficiently to isolate the backing in my mind but it seemed like some of backing stayed as a straight 4/4 (though I'm not sure all of it did). This tug-of-war between time signatures appealed. The arrangement, the production and the mix are truly outstanding. It's easy to hear that a great deal of effort has gone into getting it right. Overall, very, very professional sounding from start to end! You've both done a great job! As others have said above me, this is a sensational listen. The vocals are fantastic... Overall, very, very professional sounding from start to end! You've both done a great job! 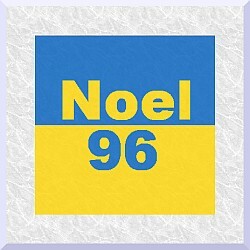 Noel, thank you for the very kind words! I'm glad you liked it! Top notch write, recording, mix, arrangement and production. I enjoyed every aspect of this. Looking forward to hearing more from you and David in the future. Nice production and mixing chops. Well recorded. What's not to like about this? Nothing. Good write and instrument selections. David, sounds radio ready to me. Very creative and entertaining mix. CKlester, I hope you will submit this to your local contemporary Christian radio station and ask them to add it to their lineup. Thanks, Jim! That's very kind of you to say! I wonder if a radio station would do that. Excellent song and arrangement. The vocal effects are really appropriate. I think it's a great song. Well singing and nice guitar playing.